– all using distance collaborative tools between two coasts and countries. This was a collaborative design / e-learning research project between two university professors/researchers (w/ their 4th year students) – from two different countries working with and about online virtual tools for design. additional 3d galleries of the designers work. exploring as a group that never met the issues of the “real” and the virtual. 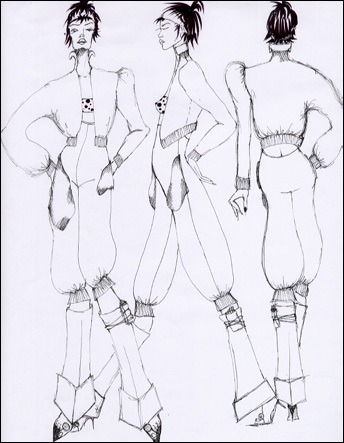 Original fashions for the event called “Ratava’s Line” were designed and drawn by students at the FIT in NY. The drawings were then translated into 3D using a variety of software and tools by students at SFU in Vancouver. The fashion performance event included a narrative look of what is real and what is virtual (i.e. the fashion industry, computer graphics, media events, …) so the students also collaborated on the character design, and the story writing, as well as the specific roles needed to put on an international, online and two city event. at the seminar event in NYC, clothed in his designs, in front of different virtualities of himself. Video Webcam during the seminar and event. Open Source Discussion forums with team and topic threading. 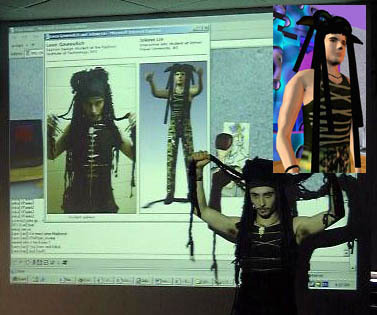 The learning/research hybrid culminated in a live fashion opening, interactive cyber-mystery event on April 23rd, 2003. The audience was invited to attend physically at either NYC or Vancouver; or online via the created 3d worlds. 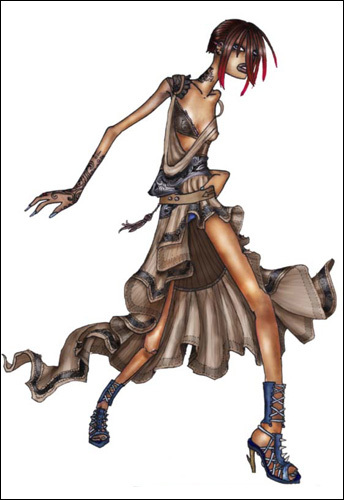 This was a simultaneous international and online event, that displayed original fashion designs using 3D avatars, demonstrated how virtual collaboration can work and included an interactive cyber mystery where fictional characters in the fashion show were played by online actors on both coasts. Earlier in the day a seminar for academics, the press and industry was held with participants and speakers from SFU, FIT, NYU (Ken Perlin), the game industry and the press. Student physically at FIT and via a webcam and via online 3d avatars participated at SFU. Ratava’s Line and the seminar garnered much press from diverse publications as the fashion industry trade newspaper “Women’s Ware Daily”, to the academic Chronicle of Higher Education. Several additional seminars continue this collaboration on the future of virtual collaboration. See the downloads for more details. Chr. Higher Ed. article WebLink: Chronicle of Higher Education Article reprint. 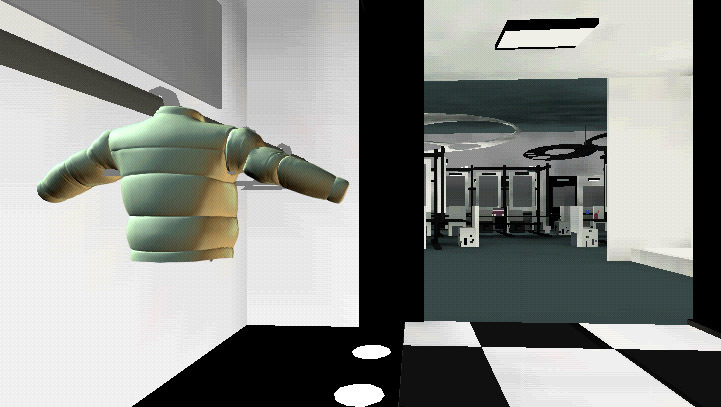 Original 3D worlds were created exploring virtual directions in fashion, artwork and interactive narrative. The main fashion show room with spinning fashion avatars, which when clicked display more about the work and the designer. A character of the interactive mystery drama walking through the gallery showcasing artwork from artists in NYC and Vancouver, blurring fact and fiction – an art gallery – an unfolding narrative. Backstage for more clues … who and where is Ratava?